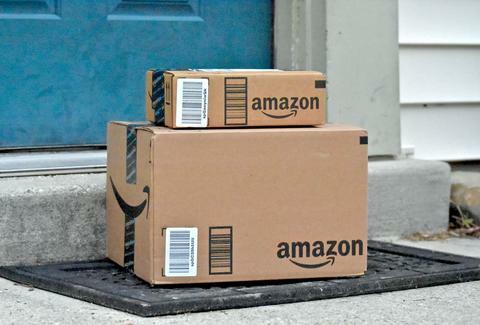 A huge package of toilet paper, a sous vide, a bunch of coffee pods, or whatever -- if you've been meaning to order a few things from Amazon lately, then today is the day to do it. The retail giant announced Wednesday it is offering a $8.62 discount on almost any order of $50 or more, but for one day only. Really. Taking advantage of the rare discount is super simple. All you have to do is add $50 worth of stuff sold by Amazon.com (not other sellers on the site), then add the promo code "BIGTHANKS" at checkout. Obviously, $8.62 is an odd number for a discount, but it's Amazon's way of celebrating its first place spot on the annual Harris Corporate Reputation Poll ranking with a score of 86.27. We would have preferred if they kept the decimal in the same spot, though. The deal, however, comes with a bit of fine print: it doesn't apply to digital content like video games, Amazon gift cards, orders placed through Alexa or Amazon Prime Now, or any other mobile app that's not the main Amazon app, according to the official terms page. Oh, and you can only use the code once per account, so don't blow it on something stupid. Sure, $50 is kind of a lot to spend to get a discount of less than $9, but if you were already going to buy $50 worth of stuff, then it's a nob-brainer. Or maybe a good opportunity to treat yourself with something extra. If anything, you might want to buy a $50 gift card from other retailers and get $8.62 of it for free. You have until 11:59pm PT to figure it out. Tony Merevick is Cities News Editor at Thrillist and might just have to order some stuff today. Send news tips to news@thrillist.com and follow him on Twitter @tonymerevick.